I am proud to serve as the State Senator from Illinois’ 5th District. I hope you’ll find this site a useful resource in keeping up-to-date with what’s happening in our district and in Springfield. 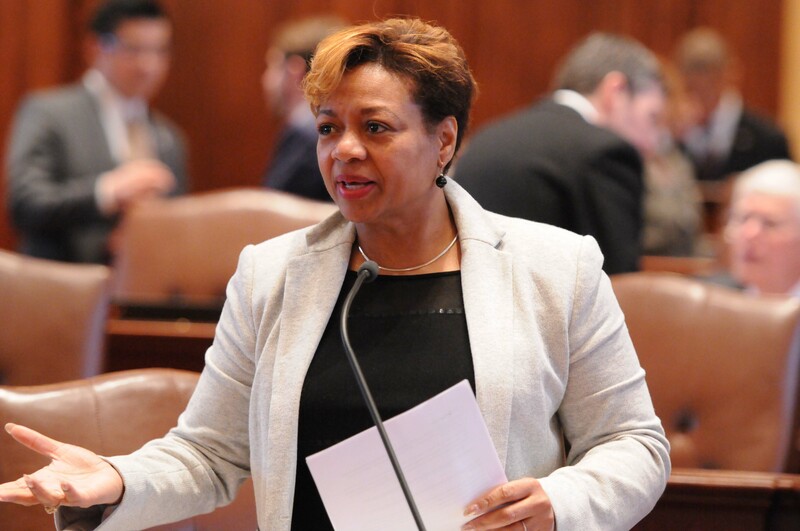 SPRINGFIELD – Legislation sponsored by State Senator Patricia Van Pelt (D-Chicago) to address inequities in expulsions and suspensions in Illinois high schools has passed the Illinois General Assembly. The legislation comes after a 2012 study stated that Illinois suspends more African-American students than any other state in the nation. Senate Bill 100, an initiative of Voices for Youth in Chicago Education and negotiated with school management as well as law enforcement, will make numerous changes to the School Code. The legislation is designed to reduce the racial disparities in expulsions and suspensions that have plagued Illinois schools. “Some of our most vulnerable students, who struggle with poverty and a lack of parental discipline, are having the only steady influence in their lives taken away from them. When these students act out, they should be kept in school, not thrown out in the streets where they will not have the positive influence of our educators to help keep them in line,” Senator Van Pelt said. Disciplinary removals of longer than 3 days must be limited to instances where the student’s presence is an on-going threat to the school, and all other options have been exhausted. A school board must state how a suspension or expulsion is in the best interest of a school before disciplinary action. School districts must establish re-engagement policies for disciplined students. Suspended students must be given the opportunity to make up their work. School officials must limit suspensions and expulsions to the greatest extent practicable. State records show that in the 2010 - 2011 school year, Illinois students lost 1,117,453 instructional days due to disciplinary actions, 95 percent of which were for minor offenses. SPRINGFIELD – Technological advances in mammography are helping increase the ability to detect growths in breast tissue that often go unseen. Thanks to work by State Senator Patricia Van Pelt (D-Chicago), 3D mammography will now be added to the list of insured low-dose mammograms available through insurance. Senate Bill 54, recently passed by the Illinois General Assembly, will add ‘tomosynthesis’, also known as 3D mammography to insurance plans. The procedure differs from standard mammograms and produces a cross-sectional 3D image to help doctors better identify potential concerns. The procedure also reduces false positives and greatly increases visibility to sense invasive cancers while reducing cost to patients and hospitals. The bill has passed both houses of the General Assembly. 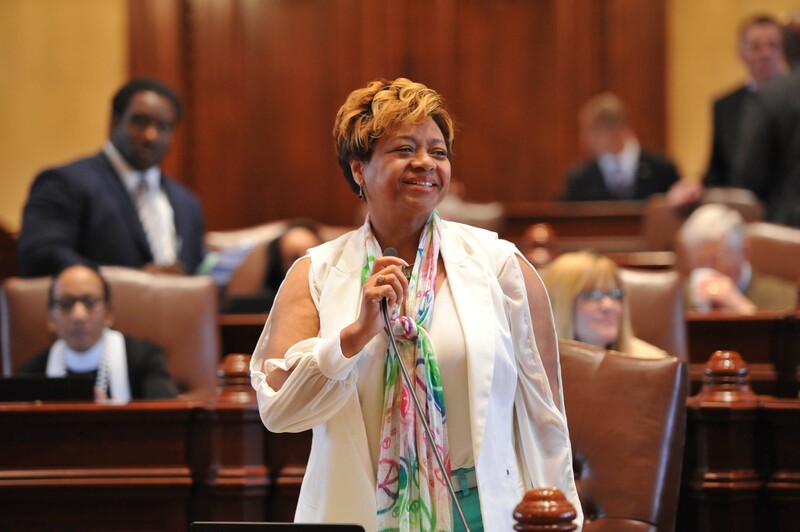 SPRINGFIELD - State Senator Patricia Van Pelt (D-Chicago) joined her colleagues in the Illinois Legislative Black Caucus to promote reforms to policing in Illinois. Please take a moment to view Senator Van Pelt's comments at a press conference from the Blue Room in the State Capitol in Springfield. 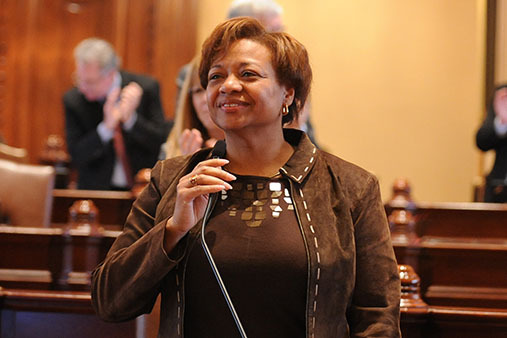 SPRINGFIELD –State Senator Patricia Van Pelt (D-Chicago) has passed legislation, proposed by the Illinois State Board of Education and Cabrini Green Legal Aid, to limit the types of convictions that would automatically disqualify individuals from employment within a school district, disqualify individuals from obtaining an educator’s license or result in revocation of an educator’s license. House Bill 494 states that persons convicted of possession of less than 30 grams of cannabis as well as those convicted of misdemeanor public indecency and prostitution will not be automatically disqualified for school district employment or obtaining licensing. The legislation also allows convicted drug offenders who have turned their lives around to apply for employment and licensing after seven years without committing new offenses. “Those who have made mistakes in their lives should not be shut completely out of society. Those who have paid their debts to society and turned their lives around deserve second chances, and it is my hope that his bipartisan legislation will help do just that,” Van Pelt said. The legislation was co-sponsored by both Democrats and Republicans and was promoted by the State Board of Education, along with other community stakeholders.